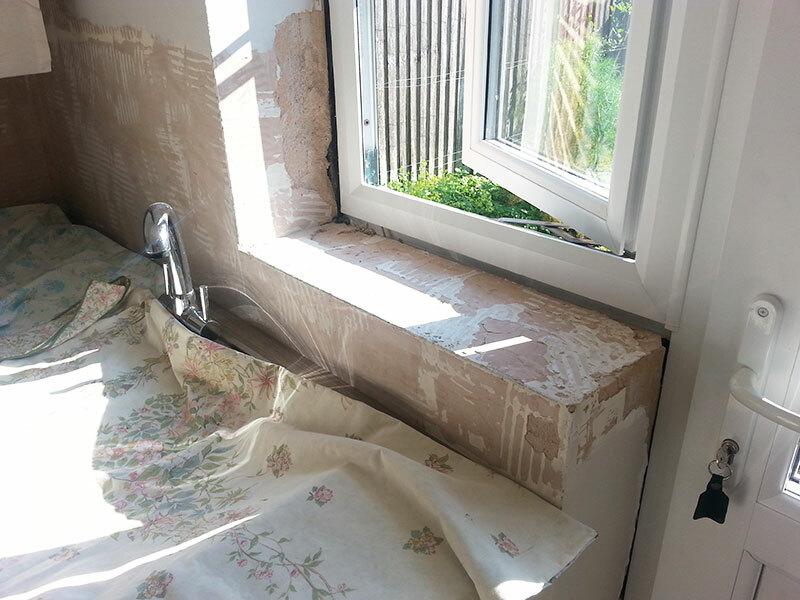 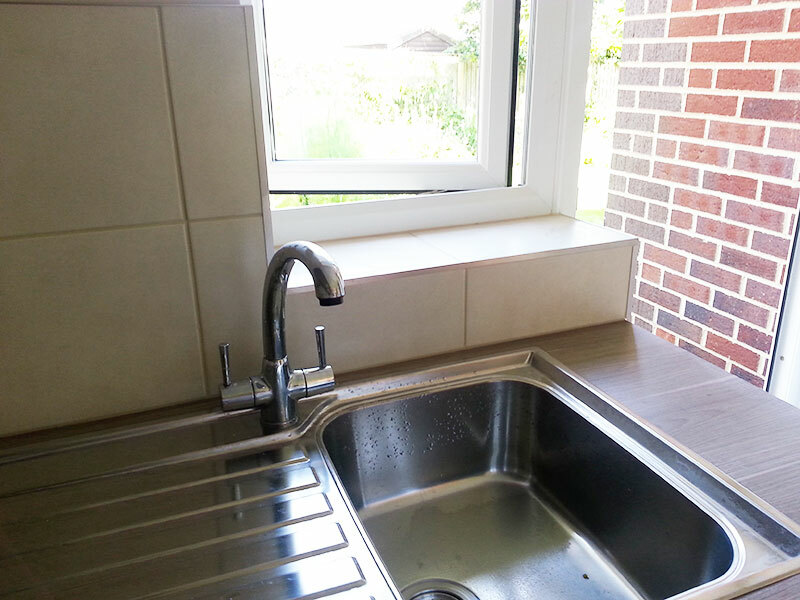 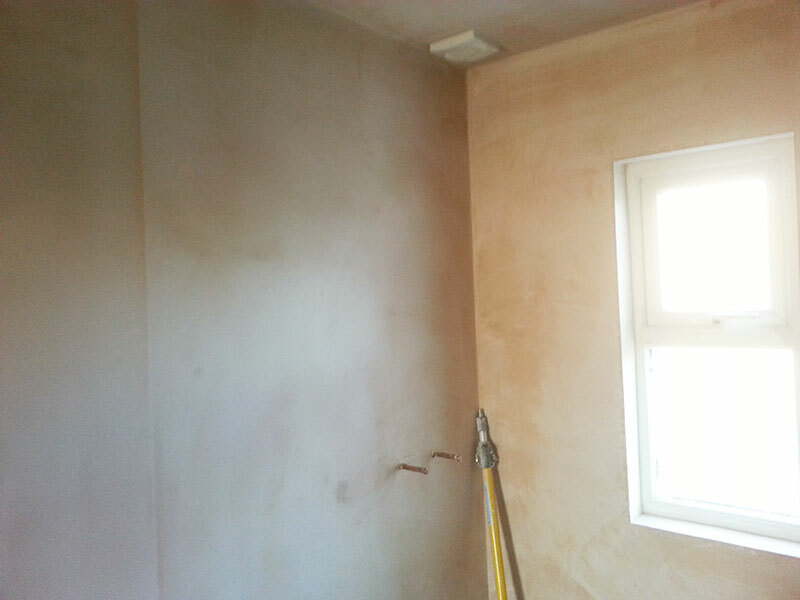 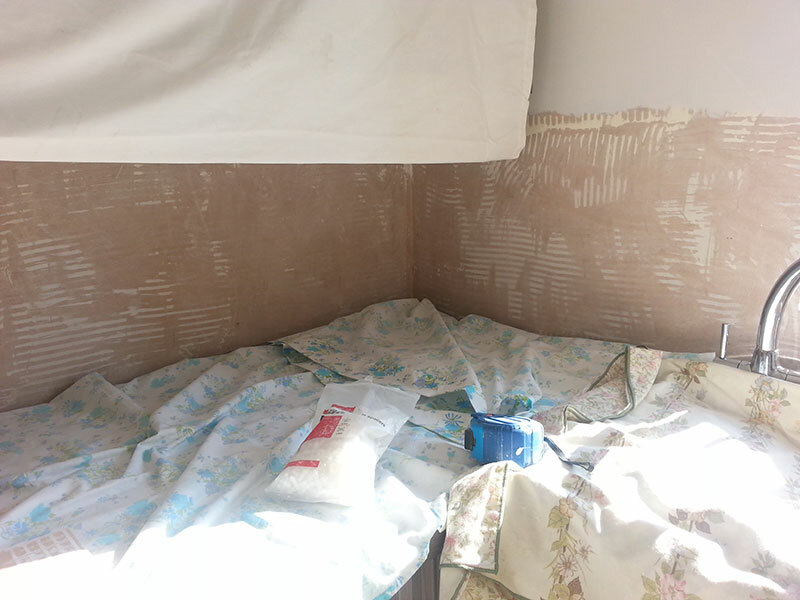 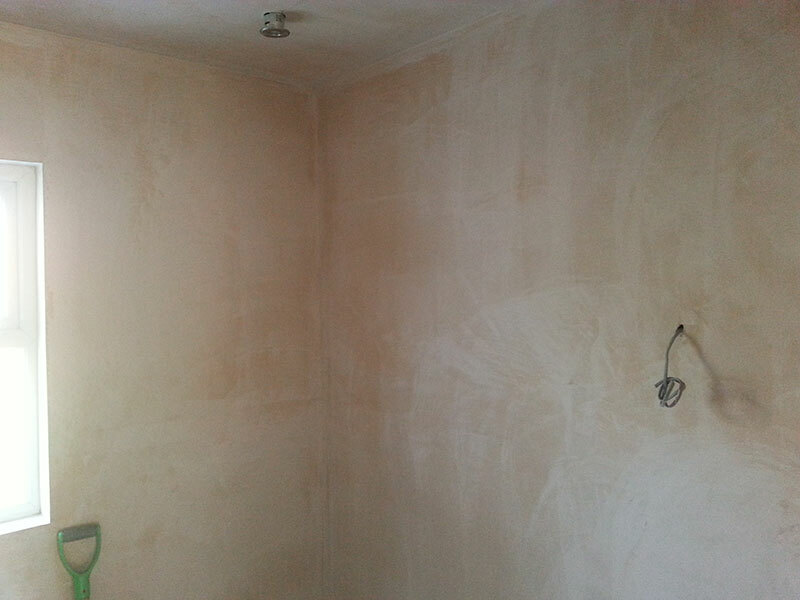 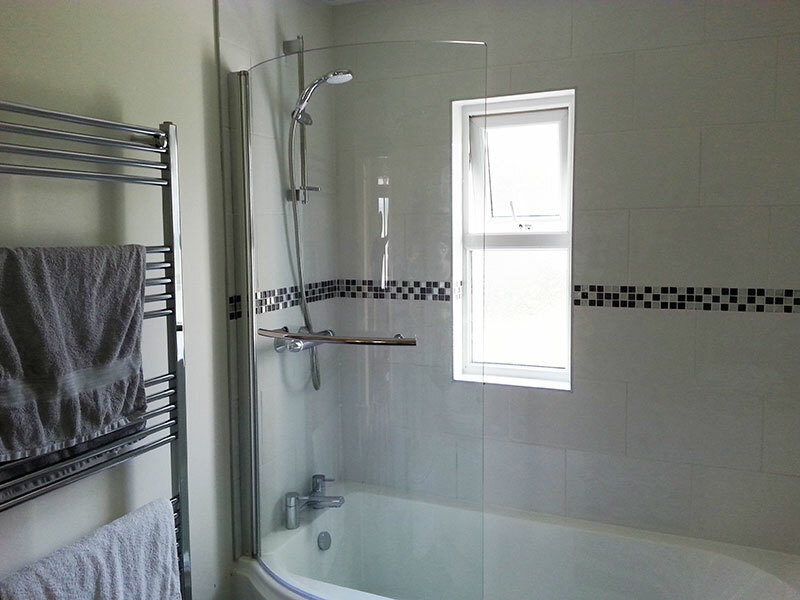 Showing ‘before and after’ – preparation and finished job. 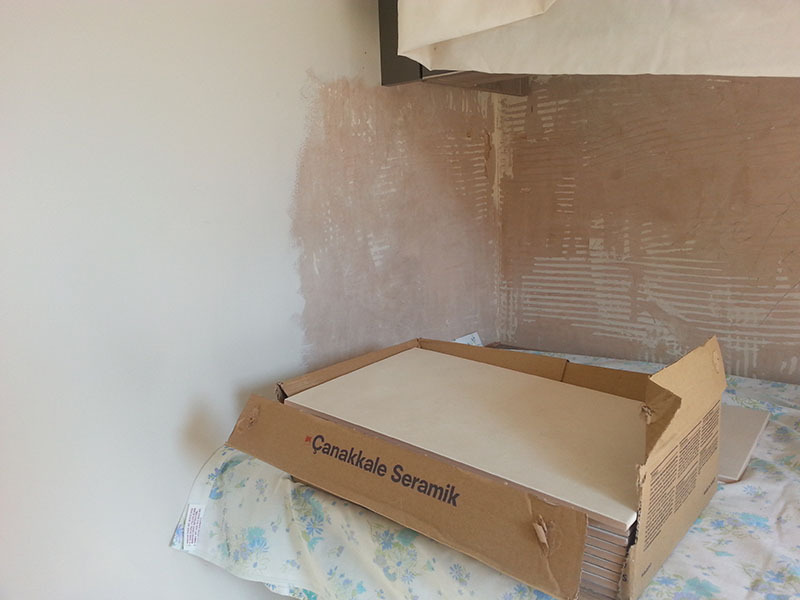 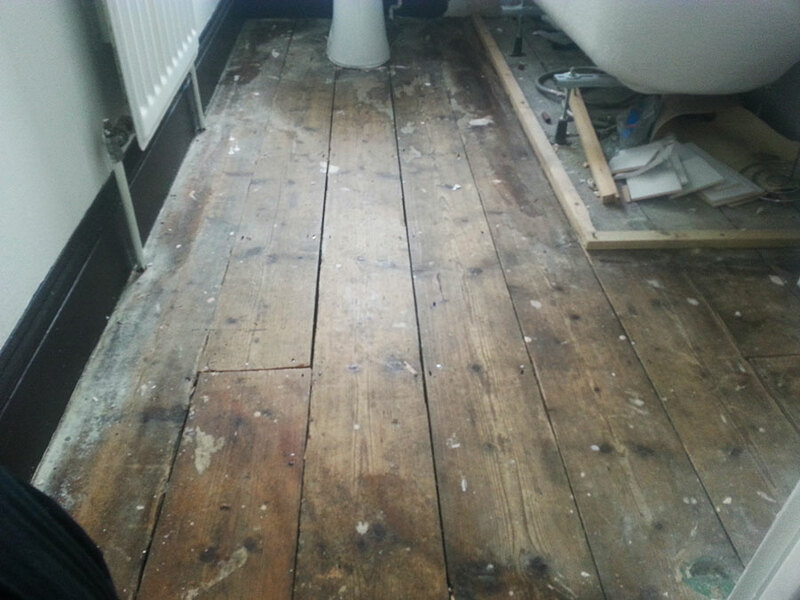 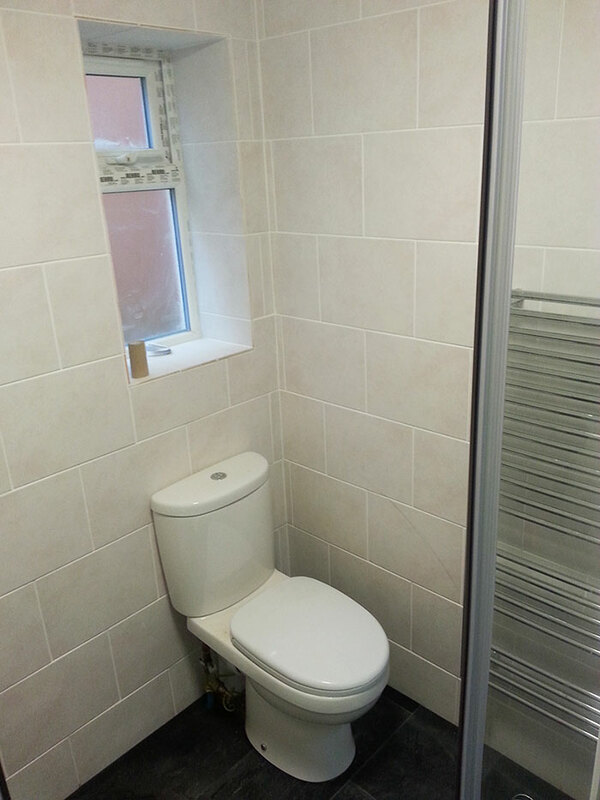 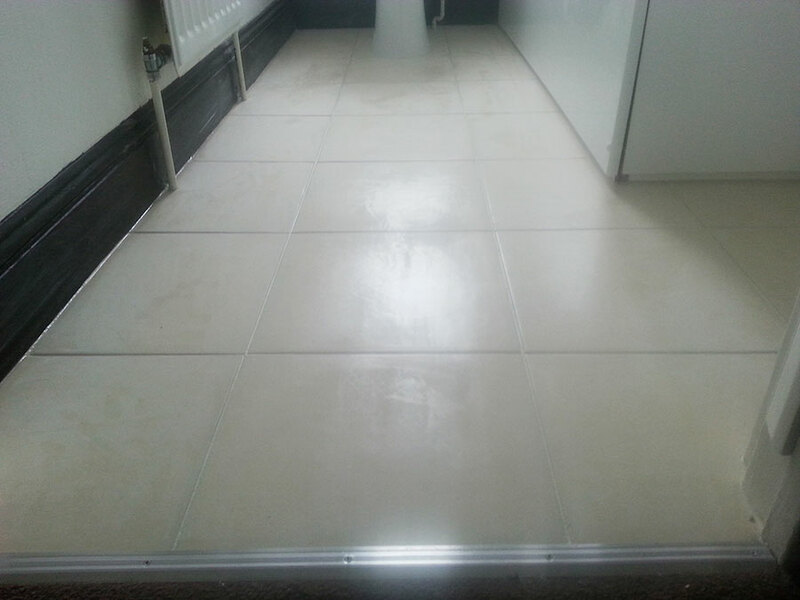 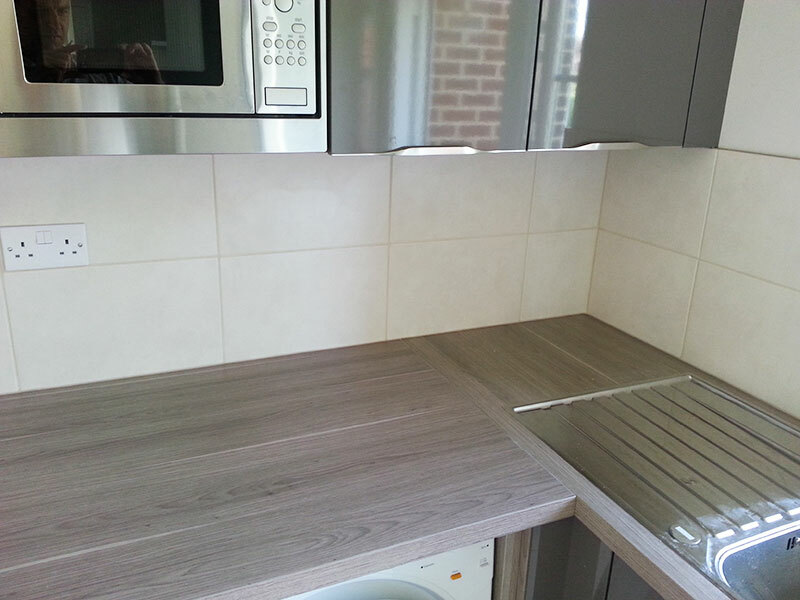 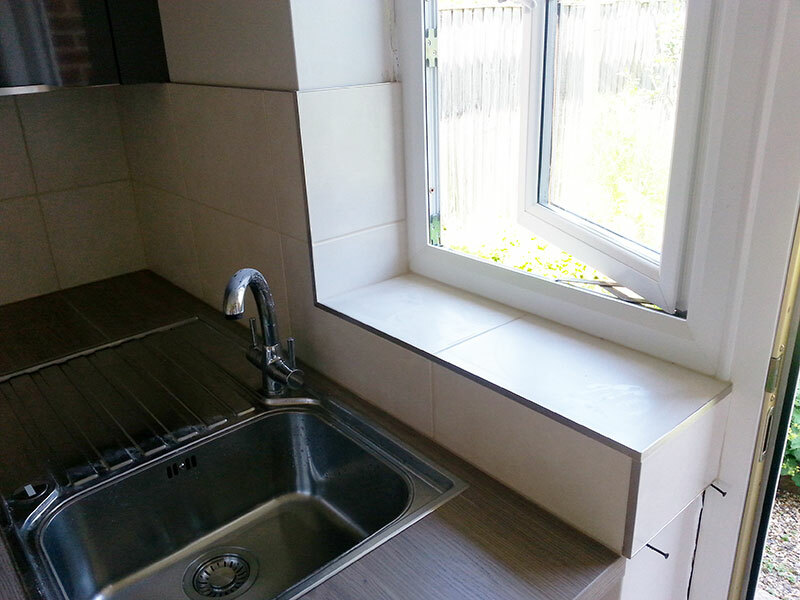 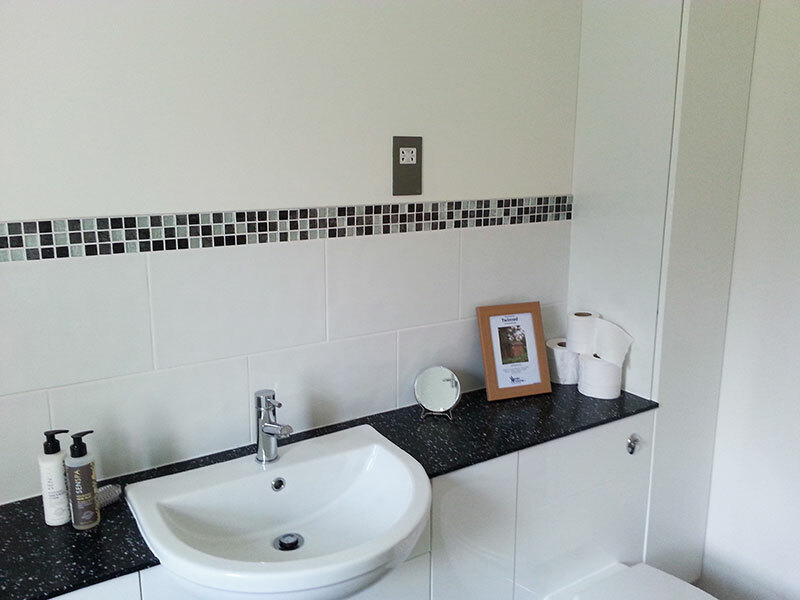 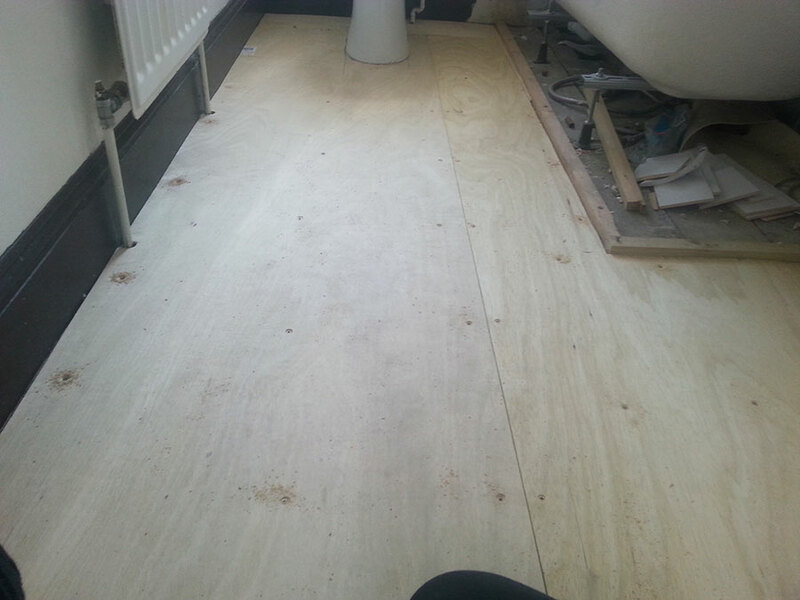 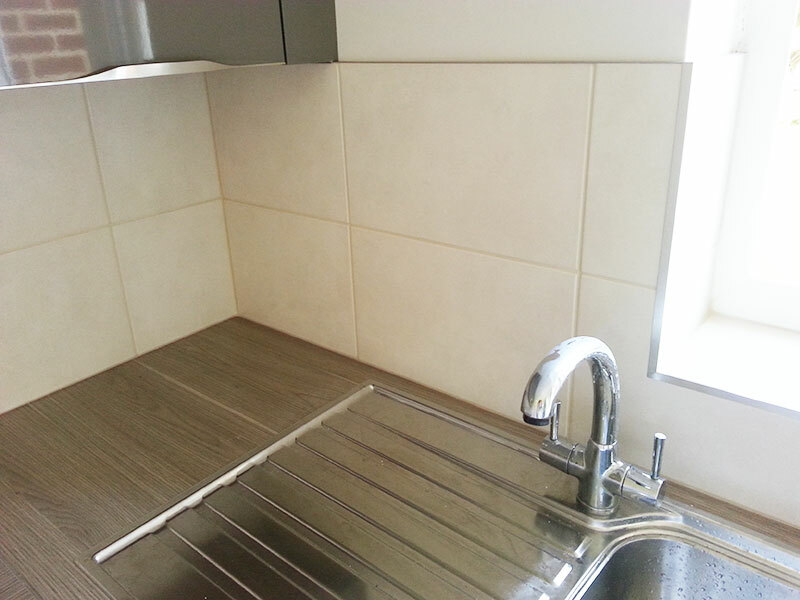 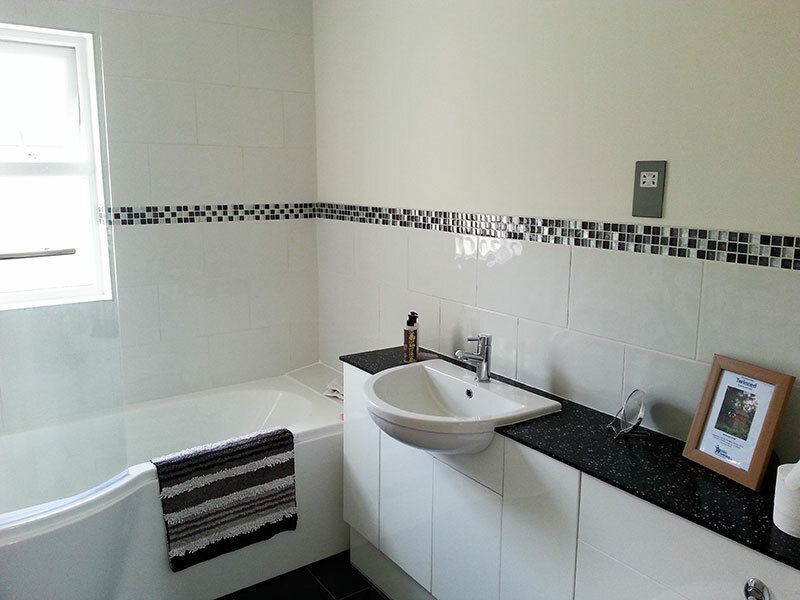 Showing ‘before and after’ – laying the hardboard and tiling around the toilet. 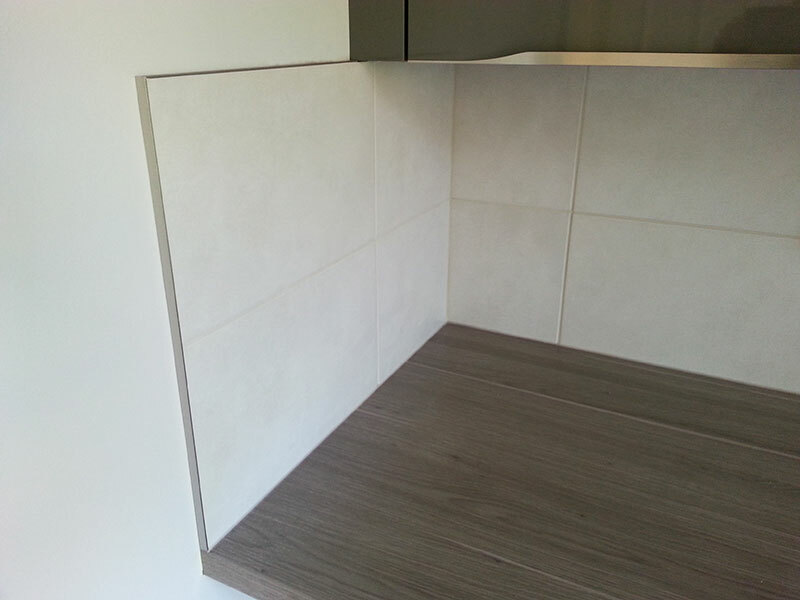 A neutral stylish tile for an upstairs bathroom wall with toilet.